When the negligent act of another person or party leaves you unable to work and facing considerable medical and rehabilitation costs, you can easily find yourself facing financial ruin through no fault of your own. If injuries from an automobile accident in New York City leave you with out-of-pocket expenses after collecting from your no-fault insurance policy, contact the experienced injury attorneys at Segan, Nemerov & Singer, PC. 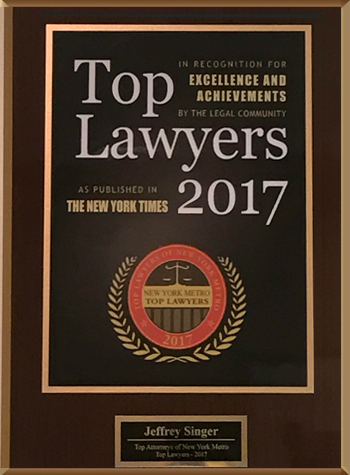 If the careless actions of someone else have injured you in a New York City automobile accident, you have legal recourse. Minor or serious, any car accident of any severity can seriously injure victims. Once you have addressed all essential matters in the wake of an auto accident, talk to experienced auto accident attorneys who understand the laws that apply to your case. 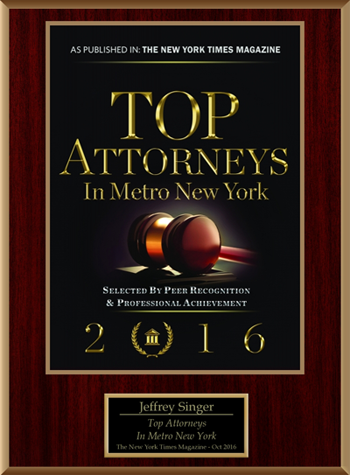 The New York City car accident attorneys at Segan, Nemerov & Singer, PC can help you pursue compensation for your injury beyond what your policy pays. During a free initial consultation, we assess the details of your case. We determine if the law permits you to seek full compensation from those responsible for the accident. Because New York is a no-fault auto insurance state, you will receive at least some compensation from your insurance provider but you may have the right to seek additional compensation from other negligent parties. We identify all parties responsible for the accident. These parties may not be individuals involved in or even present at the accident scene. For example, in accidents involving tractor trailers, the company that owns the truck or employs the driver may share legal negligence. Whenever possible, we pursue compensation through a negotiated settlement with opposing attorneys. Many cases settle reasonably without ever seeing the inside of a courtroom. When injuries are severe enough, we file an automobile accident lawsuit in New York City to fight your case before a jury to seek the maximum compensation possible. Carry state-required coverage. In New York, this coverage includes a no-fault insurance policy. Take reasonable care to avoid New York City automobile accidents. Every motorist owes a legal duty of care to those with whom they share the road. Seek medical assistance and police in the event an auto accident injury occurs, regardless of who caused it. In fact, you should not try to determine fault in any accident without speaking to an experienced attorney. If you or someone you love has been victimized by a negligent act in a New York City car accident, do not delay. Time is not on your side. Contact the experienced personal injury lawyers at Segan, Nemerov & Singer, PC today to set up a free initial consultation of your case. Contact us online or at (212) 696-9100 today.